Here in America, at Radha Madhav Dham, Holi is played in the same style as it is in Braj district of India - with the same colorful, playful, family-filled fun and devotion. 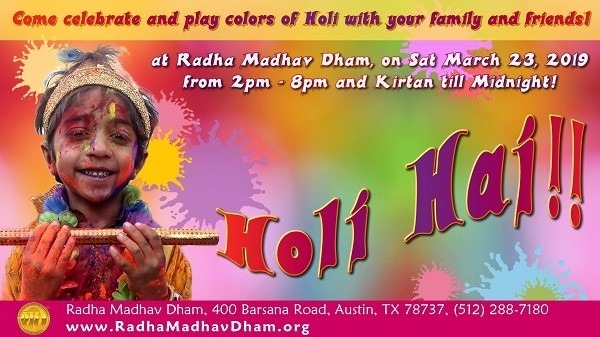 Each spring the Austin Community looks forward to this joyous celebration of Holi, the festival of colors and love. While this event is FREE and open to the public, there is a $5.00 parking fee per car. Visit us to find the list of upcoming Indian events in the USA!